Birr Castle is a very impressive 90 room castle situated on a 1200 acre walled estate in the Magical Midlands of Ireland. The castle is only open to the public on a limited basis throughout the summer as it still the family home of Lord & Lady Rosse, descendants of the Parsons family been there since 1620. Each generation of this famous family has made huge and important contributions to science and technology. The 3rd Earl of Rosse built the largest telescope in the world in 1840, with which he discovered the Whirlpool Nebula and devised a method of calculating the heat of the moon’s surface, which proved to be amazingly accurate. His son invented the steam turbine, which as we all know changed the course of history not only in Ireland but throughout the world. The telescope, which held the record of being the largest in the world for 70 years has since been fully restored, thanks to the patronage of the late Dr Tony Ryan. 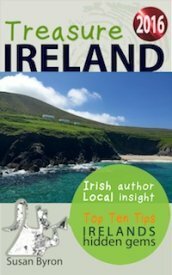 But the real jewels in the crown are the extensive 17th century parklands, the famous herbaceous border at the foot of the castle looking over the Camcor river with the oldest suspension bridge in Ireland, the champion trees and the formal millennium gardens. There is a wild flower meadow that has not been ploughed in 400 years, the O’Carroll oak in the centre is thought to be more than 500 years old. You will hear the story behind that famous tree, O'Carroll is the only Irish signatory on the American Declaration of Independence and much more besides, if you take the buggy tour of the estate which I would strongly advise if you don’t want to miss anything or have a special interest in gardening. 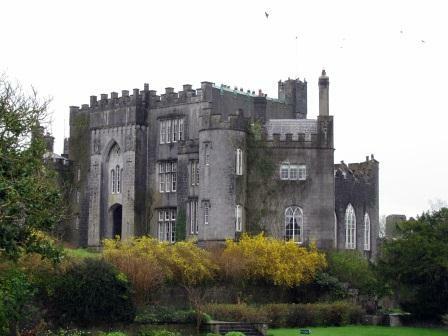 The guides have an encyclopaedic knowledge of all the various plants and trees as well as the history of the castle and the Parsons family and how they have blended into the social history of Birr itself and still play an active role. 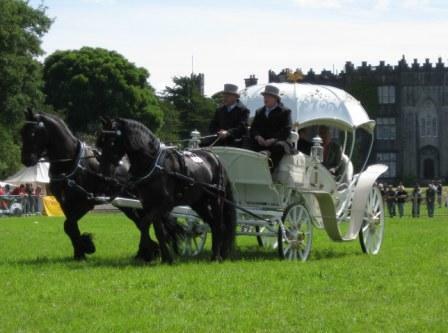 In fact if you want to see some real pageantry you should visit in August when the Game and Country Fair is on at Birr Castle as Lord and Lady Rosse take a turn of the grounds in their fairytale carriage. The stable block has also been renovated and turned into a science gallery and museum with further details about the gardens design and evolutions and some lovely reproduction botanical water colours by the Countess of Ross. It also has restroom facilities, a well stocked shop and a very good café. 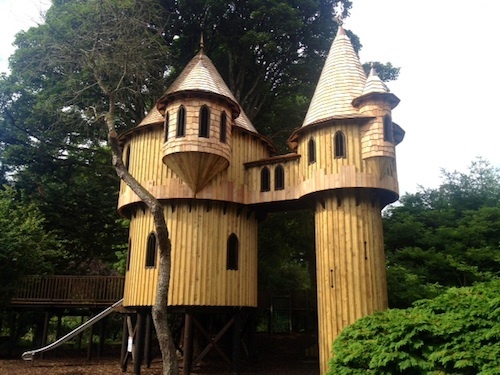 Just opposite through the door to the gardens is a children's playground which now boasts the largest treehouse in Ireland. 1 Explore the beautiful Georgian town of Birr. 2 See where the first automobile accident in the world occurred on the corner beside the Church of Ireland. 3 Visit the new library in the restored convent beside the Roman Catholic Church. 4 Admire one of the nicest urban green spaces in Ireland on the tree lined Oxmantown Mall. 5 Take the river walk through the town and try and spot a Croneen, a rare breed of brown trout unique to the Birr area. 6 Take 5 mins, hours or nights at the County Arms Hotel the oldest and friendliest, family run hotel in the Midlands. 7 Or go further afield to the Thatch Restaurant, which serves the finest roast beef in the country and a delicious malteser chocolate mousse. 8 Hire a bike or walk around the sculpture park at Lough Boora Parklands a wonderfully conserved natural peatland habitat, with a nice thatched bird hide. 9 Visit Charleville Castle which is privately owned, but open by appointment, it has one of the finest gothic interiors in Ireland and was used as a film set for Jane Eyre. For more Things To Do & See in the Midlands please click here.